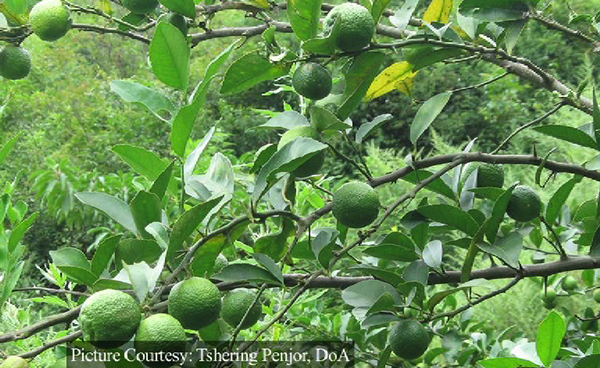 The research team under the agriculture department found out a new indigenous citrus known as “Himalayan Lime” which can be used as a medicine to relieve stomach disorders. The researchers discovered it while studying the evolutionary development and history of citrus and its relatives. The Himalayan Lime, locally known as Kagati is a new accession to Bhutan’s indigenous citrus family. It can substitute the widely used imported Mexican lime to cure stomach disorders such as diarrhea, gastritis, and other indigestive problem. 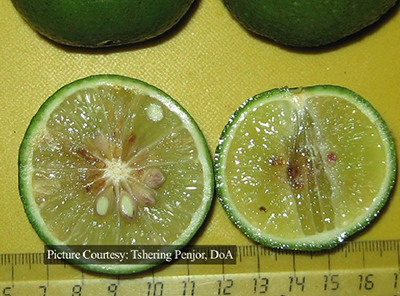 Officials with the Department of Agriculture say Himalayan lime also helps to ease cough and cure flu. The lime is suitably grown in wild forest, at an altitude of 300 to 1,500 metres above the sea level. Besides health benefits, it can be commercialised.